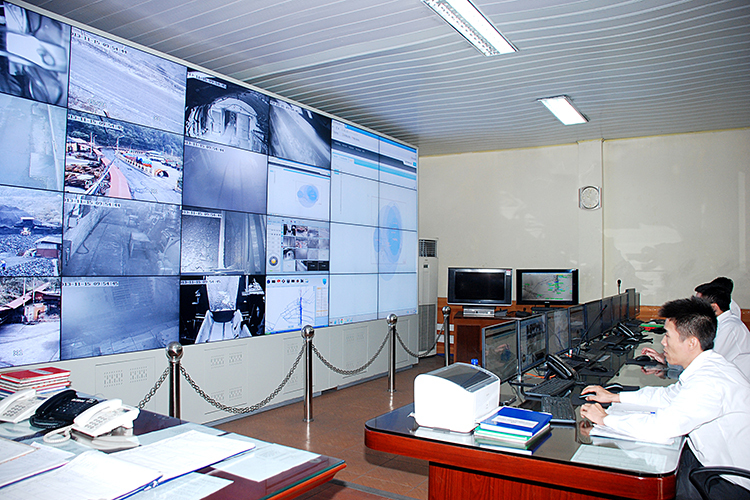 In order to further improve the efficiency of production management, leaders of the Vietnam Coal and Mineral Industries Corporation (Vinacomin) have directed the staffs in coordination with the units to implement the software for management system monitoring the coal flow. The software for management system monitoring the coal flow when having been perfected and put into use at the late October or early November will help to guarantee the output data such as: production - sale – inventory of the coal to be close reality for the effective management. Previously, many infrastructure systems such as surveillance cameras, GPS systems for tracking the workers in the pits, types of moving transport equipment, automated fuel supply systems...have also been successfully applied nn many warehouses, ports, coal and minerals supply lines, that is a good premise for Vinacomin to continue applying the systems of smart equipment into production and operation management with a more efficiency. It is known that the departments, companies and units of Vinacomin are trying to implement the Resolution of the Party Committee, Council member on enhancing the application of mechanization, information, automation in the production, and applying a lot of more smart technologies with an orientation towards industry 4.0.